(CNN) - Cheap gas provides a powerful boost to drivers filling up their tanks, but the 2014-2016 oil crash showed that plunging energy prices can have negative consequences for the modern American economy. Hundreds of thousands of oil workers lost their jobs several years ago as crude crashed to $26 a barrel. Dozens of energy companies went bankrupt. Business spending plummeted. And energy stocks tumbled, contributing to mayhem on Wall Street. One big risk in 2019 is the economy could feel similar pain again. US oil prices have plummeted 38% in the past three months. And President Donald Trump has rooted for them to go lower. The United States has only become a bigger energy player since that 2014-2016 downturn. Lifted by the shale revolution, US oil output recently surpassed Russia and Saudi Arabia for the first time since 1973. Job gains in energy powerhouses (and red states) like Texas, North Dakota and Oklahoma could be reversed if prices keep plunging. "If we continue on the path we've seen for crude oil, we'd see a lot of job losses," said Tom Kloza, global head of energy analysis at the Oil Price Information Service. 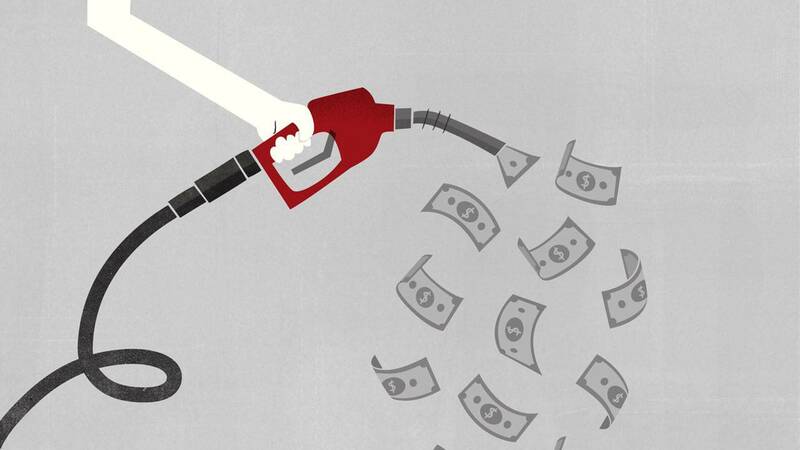 Cheap oil and gasoline prices are no longer a slam-dunk positive for the American economy. That's because the United States is both the largest consumer and producer of oil. "When the president calls for lower oil prices, he's ignoring the new reality," Ian Shepherdson, chief economist at Pantheon Macroeconomics, wrote to clients in a November report. Yet Trump tweeted twice within the span of an hour on New Year's Day celebrating the benefits of cheap gas. "Do you think it's just luck that gas prices are so low, and falling? Low gas prices are like another Tax Cut!" Trump said on Twitter. He's right that gas prices are low. The average gallon of regular gasoline fetched $2.25 on Wednesday, down from $2.47 a month ago and $2.49 a year ago, according to AAA. Nine US states, including Texas, Ohio and Missouri, are currently enjoying average prices below $2 a gallon. And analysts do expect prices to drop further as the holiday driving rush fades and bad weather keeps people off the roads. Kloza estimates the average 2019 gas price will be about $2.55 a gallon, compared with $2.72 last year. That's great news for American drivers, offsetting some of the psychological pain caused by the stock market turmoil. Analysts credited cheap gas with helping to spark the fastest holiday sales growth in six years. "Gasoline prices are very front-of-mind for consumers," said Russell Price, senior economist at Ameriprise Financial. That's especially true for lower income families, where sharp declines (or increases) in gasoline prices play an outsized role on pocketbooks. Ameriprise estimates that every 10-cent change in average gasoline prices over the course of a year equates to about $14 billion in consumer savings. But there are negative side effects as well. Thanks to the shale oil boom, the energy sector now makes up a larger chunk of the national economy than it used to. When prices crash, energy companies freeze spending, causing a ripple effect on other sectors. For instance, investment spending in the oil industry plunged by $149 billion during the last downturn, according to Shepherdson. That matched the gain to consumers. But the overall impact wasn't neutral. That's because spending also dropped in sectors dependent on the oil industry, including finance, transportation and equipment makers. All told, Shepherdson estimates that the 2014-2016 oil crash wiped 0.3 percentage points off US GDP growth in 2014 and another 0.2 percentage points in 2015. There are already signs of a serious slowdown in Texas, where the surging Permian Basin has morphed into one of the world's biggest oilfields. The state's manufacturing production, heavily driven by oil and gas, plummeted in December to the lowest level since August 2016, according to a report published on Monday by the Federal Reserve Bank of Dallas. "We live and die by the price of oil," one executive from a machinery manufacturing company said in the Dallas Fed survey. "With the oilfield down, we see less orders." The oil industry is a major employer in states like Texas, Colorado and North Dakota. The American Petroleum Institute estimates that the oil and gas industry supports 10.3 million US jobs. That estimate probably includes related industries like plastics, chemicals, transportation, trucking and gas stations. While US oil production took a hit during the 2014-2016 crash, it quickly recovered to record highs as prices rebounded and companies figured out how to drill more efficiently. That recovery translated to meaningful job gains in energy states that Trump carried in the 2016 election. For instance, Oklahoma's unemployment rate dropped from 4.1% in November 2016 to 3.3% this past November, according to the Labor Department. New Mexico, home to part of the Permian Basin, has witnessed an unemployment drop from 6% to 4.6% over that span. And Texas has added more than 365,000 jobs. "If oil prices are in the $40 to $45 a barrel range, there will be some pressure on employment in the energy sector as well as business investment," said Price. It's a fresh reminder that cheap gasoline cuts both ways in today's economy.